Now climate change is not a hoax for President Trump. 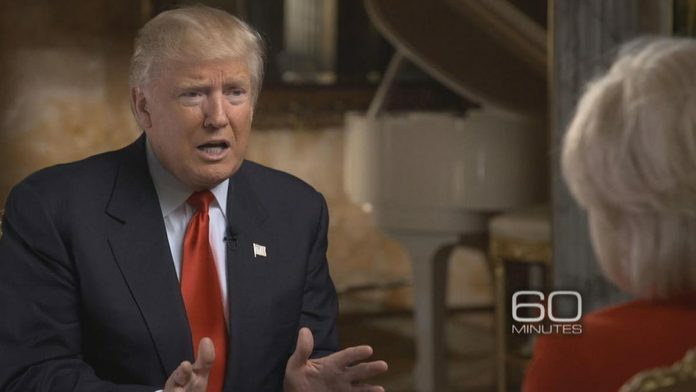 In an interview with CBS’ “60 Minutes” that aired Sunday night, Trump said he doesn’t want to put the U.S. at a disadvantage in responding to climate change. President Donald Trump was interviewed by Lesley Stahl for CBS News' "60 Minutes." Trump also expressed doubt over scientists’ findings linking the changing climate to more powerful hurricanes. On a different topic, Trump told “60 Minutes” that he’s been surprised by Washington being a tough, deceptive and divisive place, though some accuse the real estate mogul elected president of those same tactics. “You don’t know that,” he said. When asked if it’s true that Mattis told him NATO’s function is to avoid World War III, Trump said “that’s not true. . . .Frankly, I like General Mattis. I think I know more about it than he does. And I know more about it from the standpoint of fairness, that I can tell you,” as he again claimed NATO allies do not pay their fair share.